The iPhone and iPad have brought back tons of the old arcade games we used to love – but not exactly in the most pleasant way. Squinting and hunching over that little iPhone screen or trying to share an iPad screen with a friend tend to take some of the fun out of Pac-Man. This new gadget, called the GameDock, brilliantly solves this problem to let you play your iGadget games on a larger screen. 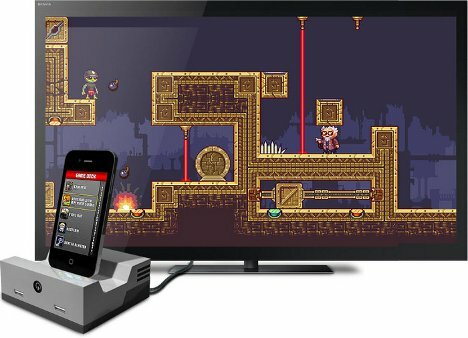 The GameDock plugs into your TV, and your mobile device plugs into the dock, rather like a game cartridge. Two full-size controllers let you play to your heart’s content, just like when you were a kid. The system is designed to be compatible with a wide variety of iPhone, iPod Touch and iPad games, as long as you’ve got an HDMI cable. Cascadia Games, the company behind the GameDock, is raising funds for the very, very cool invention on Kickstarter. 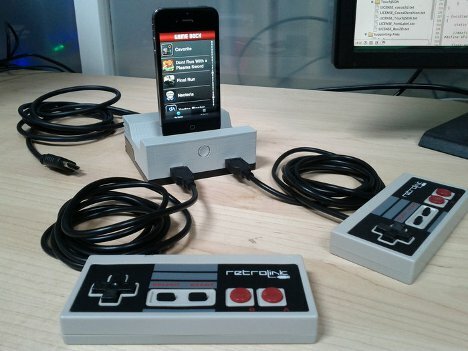 See more in Gaming & Geek or under Gadgets. August, 2012.